July 2018, James Bay Railway traveling canoe built in cedar & canvas to plans drawn in 1911 by H.K. Wicksteed, chief surveying engineer for the construction of the Canadian Northern Railway. 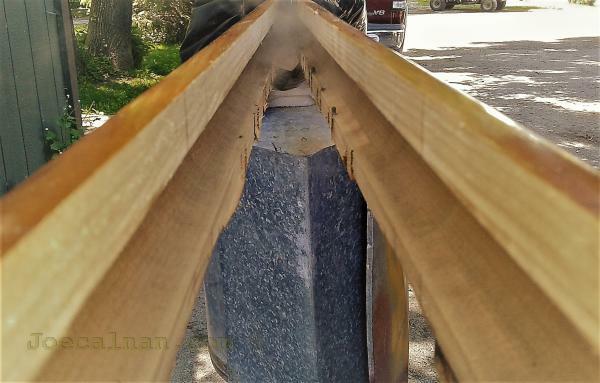 June 2018, Wooden mast repair: steaming apart and re-gluing a hollow wooden mast. Presentation on Boatbuilding Apprenticeship Programs given at The International Boatbuilders' Exhibition and Conference, Tampa, Florida. Presentation covered: General overview of apprenticeship, the logistics of setting up a new program, and findings from recent research on the return on investment for employers investing in apprenticeship programs.